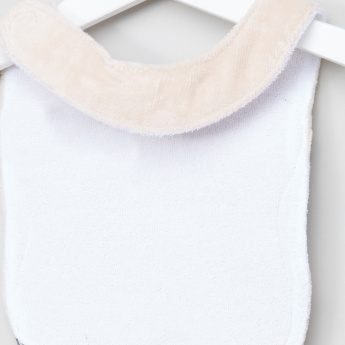 No need to fret about your baby's clothes staining when you introduce this adorable bib that has a hook and loop closure. 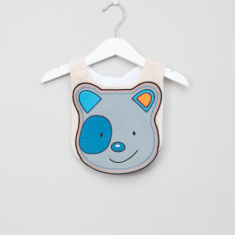 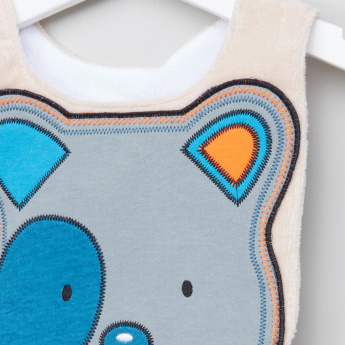 The applique detail adds to the appeal of the bib. 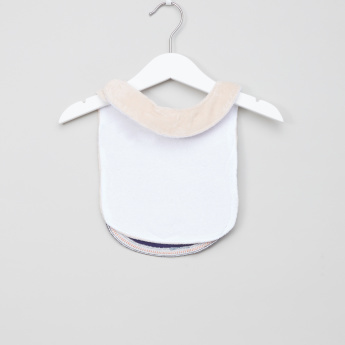 The hook and loop closure ensures that the bib is secured in place.